Marrakesh, Morocco, March 20, 2019 (ECA) – African countries need policies that can help build resilience, raise potential growth and inclusiveness if the continent is to achieve the sustainable development goals and aspirations of Africa’s Agenda 2063. 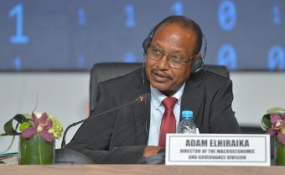 “ To reduce vulnerabilities from global economic conditions, such as the tightening of global financial markets, currency fluctuations, capital outflows and volatility of commodity process, African countries need to enhance resilience through the appropriate combination of fiscal, monetary, exchange rate and prudential policies to maintain their growth momentum,” said Mr. Elhiraika. “ Africa has made good progress in social outcomes, but inclusion especially in areas of health and education remains elusive,” he told the meeting of experts that opened ahead of the Conference of African Ministers of Finance, Planning and Economic Development.